A rare concert of live Iranian music by Ensemble Kamaan took its Hong Kong audience on a mystical journey. 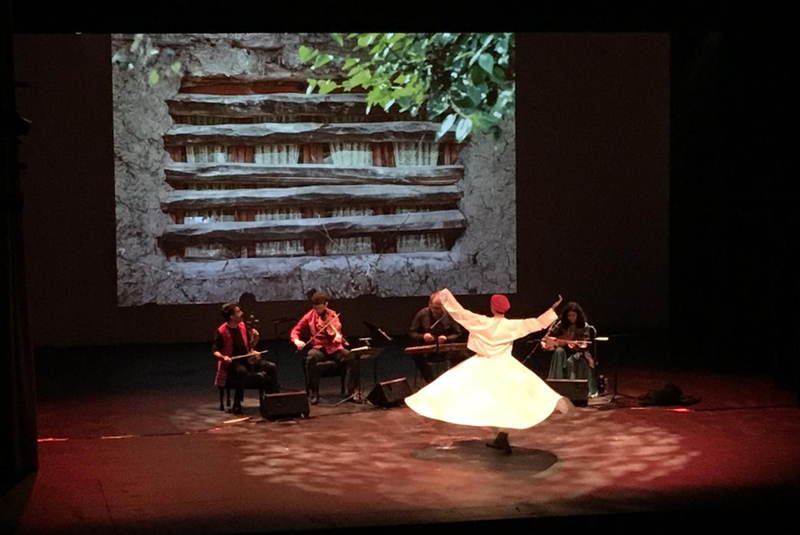 The production featuring Persian music and the whirling dervish dance entitled "Iranian Alchemy" was part of "The Art of Silk Road" series organized by the Leisure and Cultural Services Department. The exotic performance drew a full house. Iran or Persia may sound remote to some people, but it is not that faraway from us as it had one of the world's biggest and earliest empire, Achaemenid, in Western Asia more than 2,500 years ago. 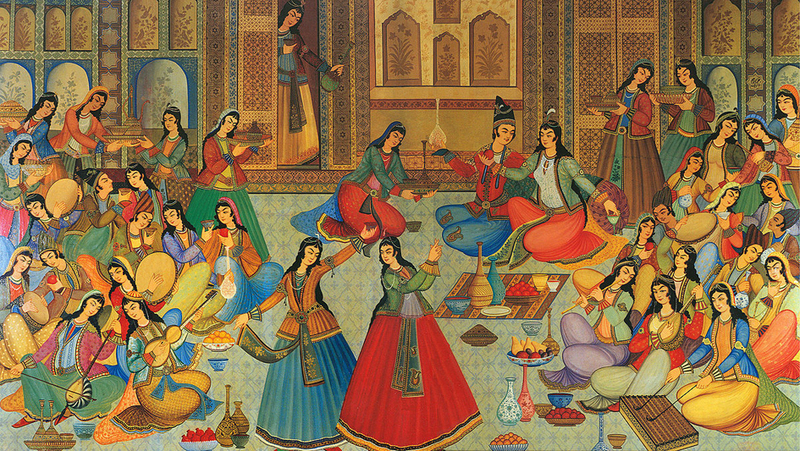 Today's world may owe much to the Persian culture. For instance, the idea of having a garden, originated from Iranians, who denote it as a paradise, a word that originated from Persian. The well-known Indian instrument sitar originated from the Persian tar. Many countries across Central and South Asia with a suffix "stan" is actually Persian, meaning place, and they used to be part of the Persian empire in different era. As the crossroad between the west and the east, Iranian music sounds Oriental to a large extent but a little Occidental, too. "We want to be different. 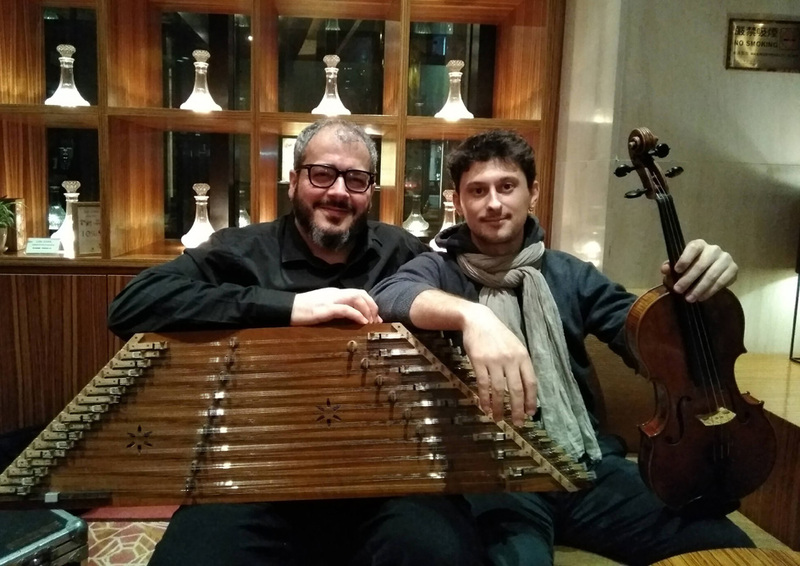 We want to engage the audience with some classical, folk, contemporary, regional, Persian, and our own music," says Amir Amiri, the santur player of the ensemble. He explains that Kamaan in Persian carries different meanings: bow, men's eyebrow, woman's fringe, bridge, rainbow. Santur, the father of the harp and the Chinese yangqin, is believed to have been brought to China through the Silk Road. Being a santur player for more than 30 years, Amiri has a diverse background. His mother is of Azerbaijani origin and his father is from the southern part of Iran, near the Persian Gulf. He gained a scholarship in 1996 to study music in Canada. In Canada, he met the kamancheh player of the ensemble, Showan Tavakol, who is from the Kurdish region of Iran. Tavakol introduced Behnaz Sohrabi, the rebab player to the ensemble. In Montreal, they met French viola player Olivier Marin, the only non-Iranian in the ensemble. Kamancheh, the string instrument, is deemed to be the parent of the European violin family and the Chinese erhu. Rebab, a bowed string instrument well-known in the Islamic world, has barely changed since its birth more than1,000 years ago. Marin joined the ensemble due to his interest in the Oriental sounds. He explains that the viola is used to balance the rather high pitch of the music. "It was such a coincidence. I had this viola 12 years ago. It was made by a Lebanese. It gives a more subtle, fine, and oriental sound than the European ones. At that time, I didn't know I will play with some Persian guys." Music played by Ensemble Kamaan carries spiritual and cosmic themes, which are inspired by poems. Poets and poetry play an important part of Persian lives. Thanks to a long epic poem The Shahnameh (The Book of Kings) written by poet Ferdowsi in the 11th century, the Persian history and language were preserved despite the Arab invasion. The lyrics of the songs performed in the evening were from poems by two Persian poets Nizami Ganjavi and Rumi who lived in the 12th and 13th centuries respectively. "Touch but this mystic curtain; play but this mystic music," from the song "Mist." "It's the time for me to break my oaths. Get rid of the chains, break the pins," from the song "Between Sky and Earth." "Yes! Open this window... The dayspring will shine through the curtains of the darkness," from the song "Dawn." While the music played, the dervish dancer, Shraddha Blaney, whirled to the songs, symbolizing the spinning of the universe. She was like performing a ritual walk from the material world to the spiritual world and opened the divine door eventually, that brought the end to the sacred music "Trance." Photos of doors and windows taken from ordinary houses in different parts of Iran were projected as the backdrop and ultimately a beautiful Persian courtyard and a dome, which denoted heaven. Dervish is Sufi Muslim physical meditation associated with Rumi. While Dervish dancers are mainly male, Amiri says a female was selected. He explains Rumi himself was universal and was not a sexist. "The reed's cry is fire - not wind! Whoever doesn't have this fire, may he be nothing!" from the song "The voice of the Reed". Reed is important in that part of the world. Ney, flute known in the Islamic world originated from Persia, is made of reed. But for this piece, viola is the key instrument. Ensemble Kamaan will continue to improvise the rich Iranian music. "It is like a palette of music which has a constant evolution," says Marin.